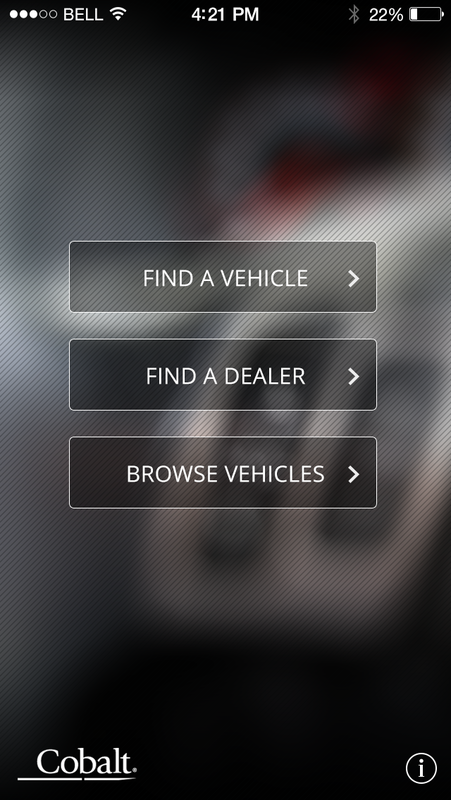 Developing mobile solutions for the automotive industry. 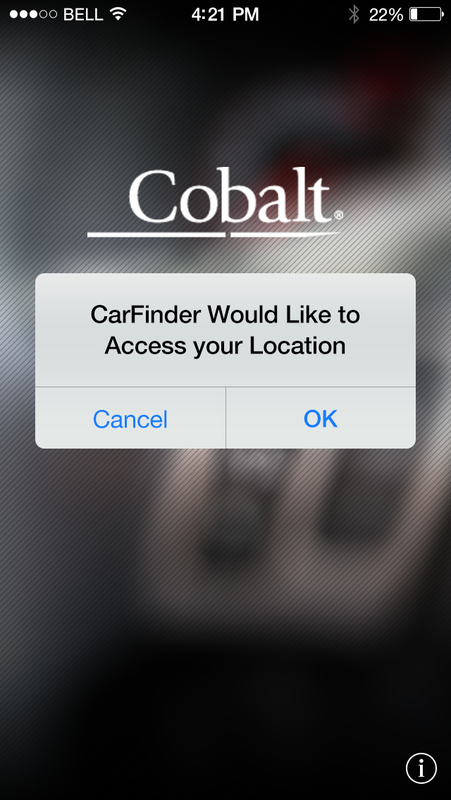 The Cobalt Group wanted to create a proof of concept prototype that would demonstrate the ability to access an automotive dealer’s inventory from a mobile device. 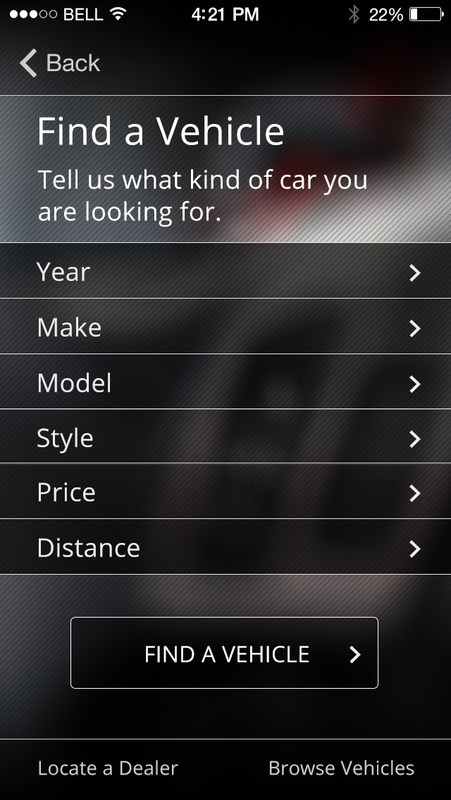 I was asked to develop the task-flow and initial screen designs for the prototype car-finding iOS application. 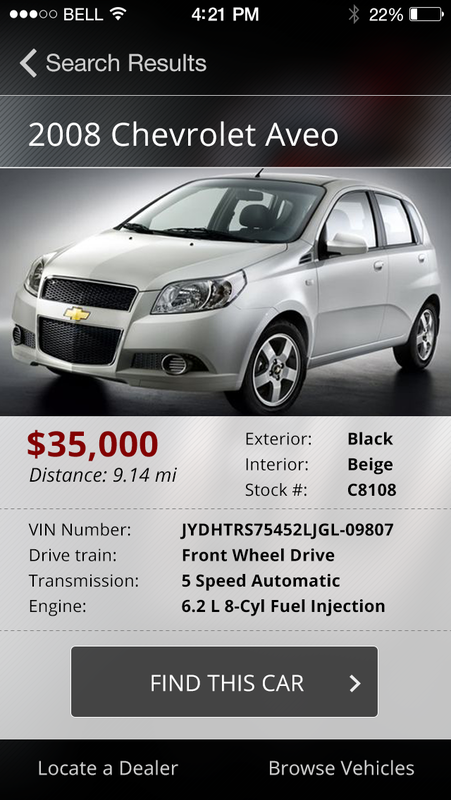 The App would allow users to search (in real-time) new and used car inventory directly from a mobile device. 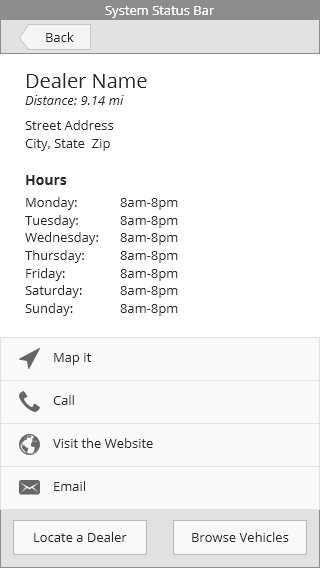 Users should then be able to contact the dealer directly from the mobile device or map the location for a personal visit. 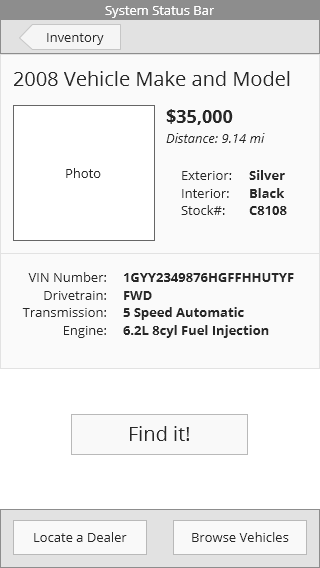 At the time this prototype was being developed, mobile technology was relatively new and access to specific tools that allowed user’s to interact with dealer inventory was restricted to the desktop. 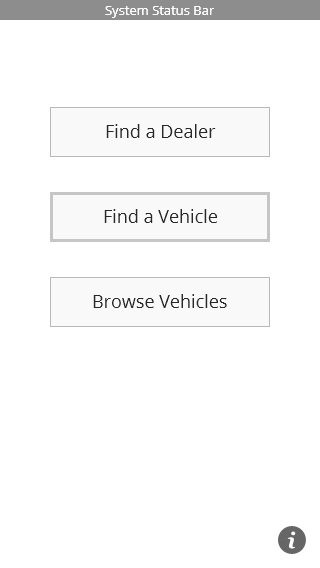 My first task was to understand the needs of mobile users with regard to searching for automobiles. I started by developing a task-flow and iterating on that task-flow until the user-experience was as simple as possible. 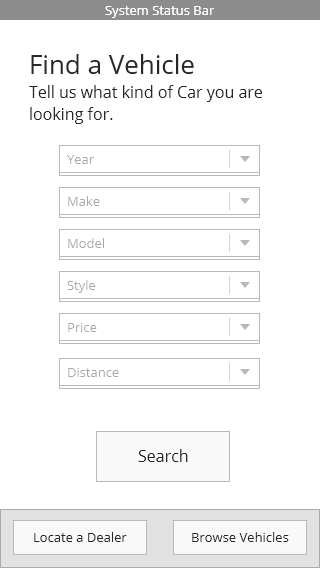 Once the primary task was identified, I was able to develop wireframes and final visual concepts for the prototype. Once the initial primary task was identified, it was necessary to begin creating a layout and hierarchical structure for the individual screens involved. 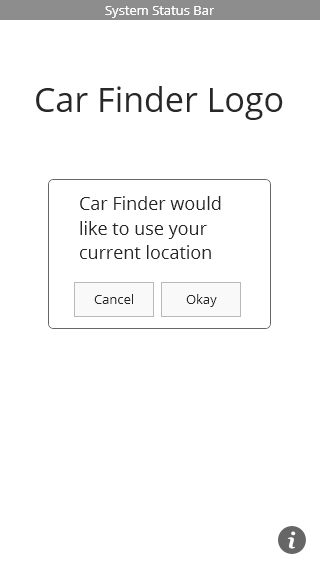 By identifying what was most important to the user in terms of completing the primary task, I was able to focus on making the content as easy to access as possible. This involved diminishing or eliminating the visual importance of some content, while increasing the visual importance of other content. A balance was stuck between making the overall process simple while still giving the user enough information to complete their objectives. 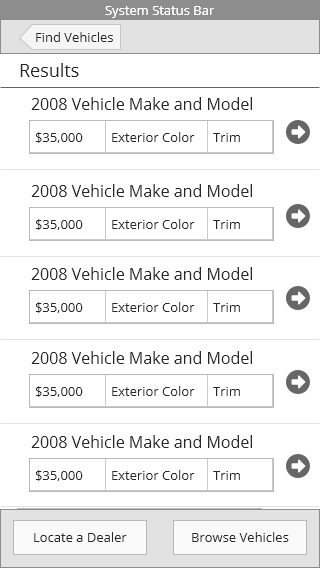 It was important to develop a visual look that was neutral in it’s tone and allowed focus to be placed on the automobile and related content. 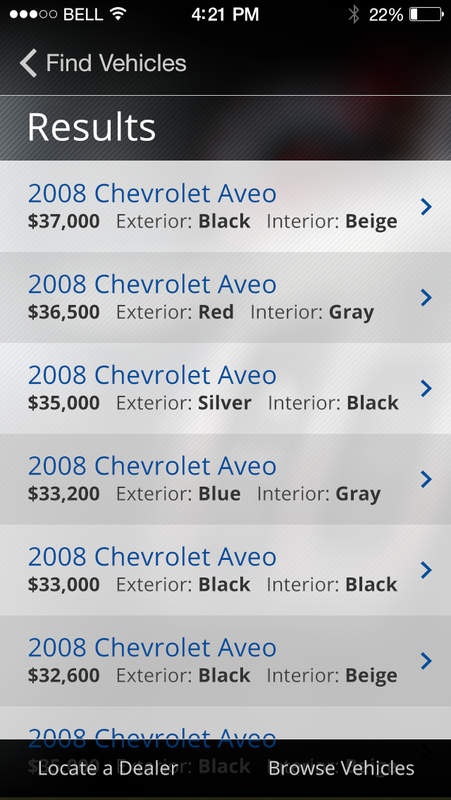 The final visual design allows the user to define what they are looking for during the buying and researching process, and serves the information to them simply—using a combination of native iOS and custom tools. 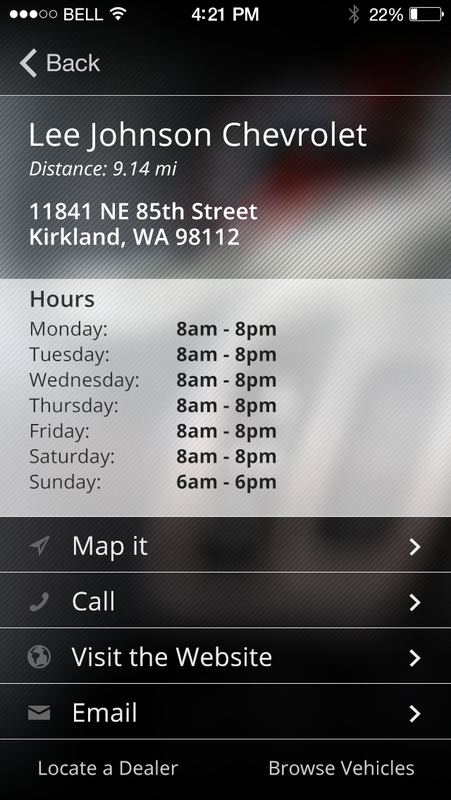 Originally designed for the iPhone 3G, the designs have been updated and refreshed for the iPhone 5.